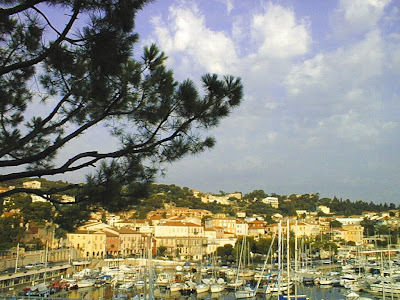 We first attended Les Azuriales, the opera season created by friends Sarah and Mark Holford, in August 1997, and stayed at La Voile d'Or, the lovely hotel overlooking St Jean Cap Ferrat. The QCs Michael Howard and Belinda Bucknall were also staying there for the opera and Kei, then nine, nicknamed them 'the IQs'. It was that year that we heard incredulously, on the wireless, that Princess Diana had died in Paris. The next year - 1998 - we took my father Patrick, who was mourning my mother Annette's death in June. There we met my old friend Venky (S. Venkiteswaran) and we all went to the opera together. Click the heading for some photos from that visit. On a third occasion, in 1999, we entertained Mauro Terrevazzi of the Vlasov Group and other local shipowners.